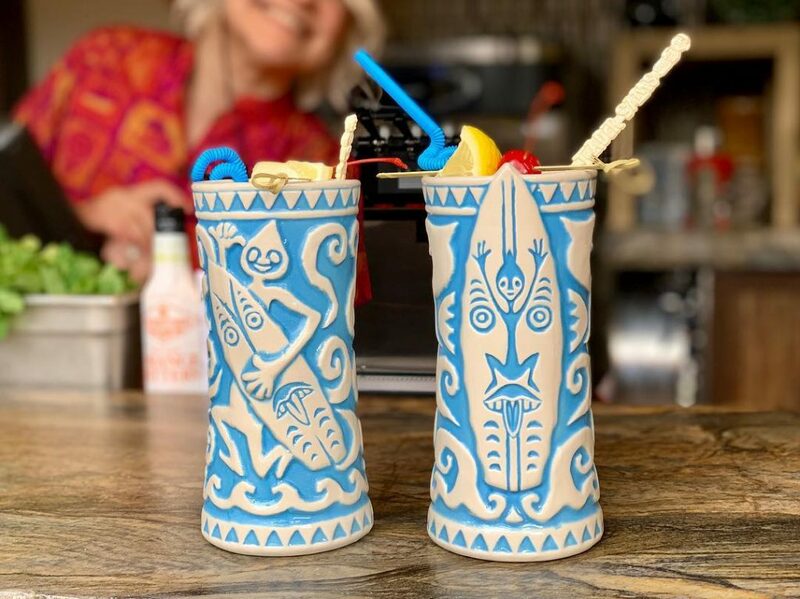 Two new drinks are now available at Trader Sam’s Enchanted Tiki Bar at the Disneyland Hotel! The drinks debut alongside the reopening of the Tangaroa Terrace Tropical Bar & Grill next door. 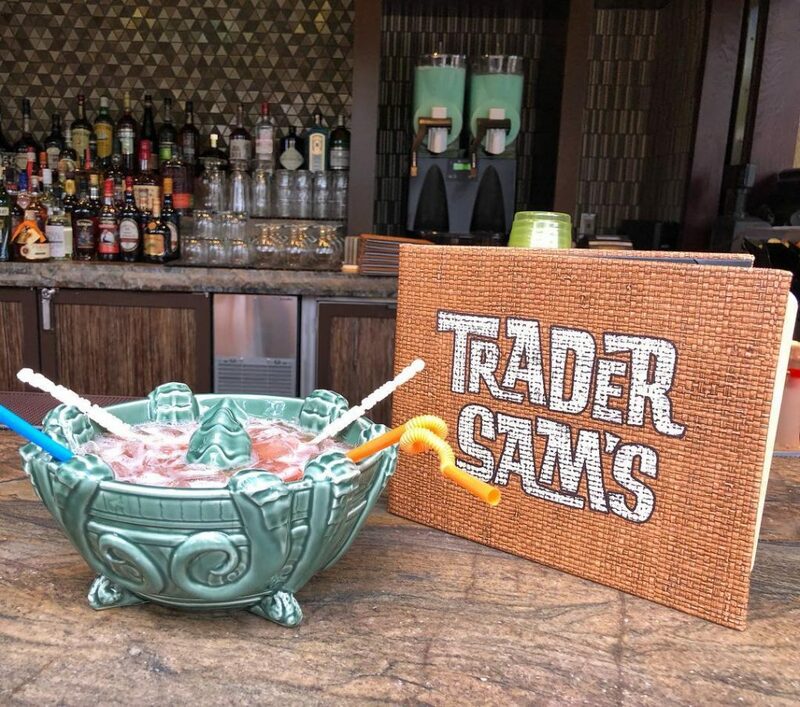 The new drinks on the Trader Sam’s Enchanted Tiki Bar are shown below. First up is the Sea Monster’s Embrace. 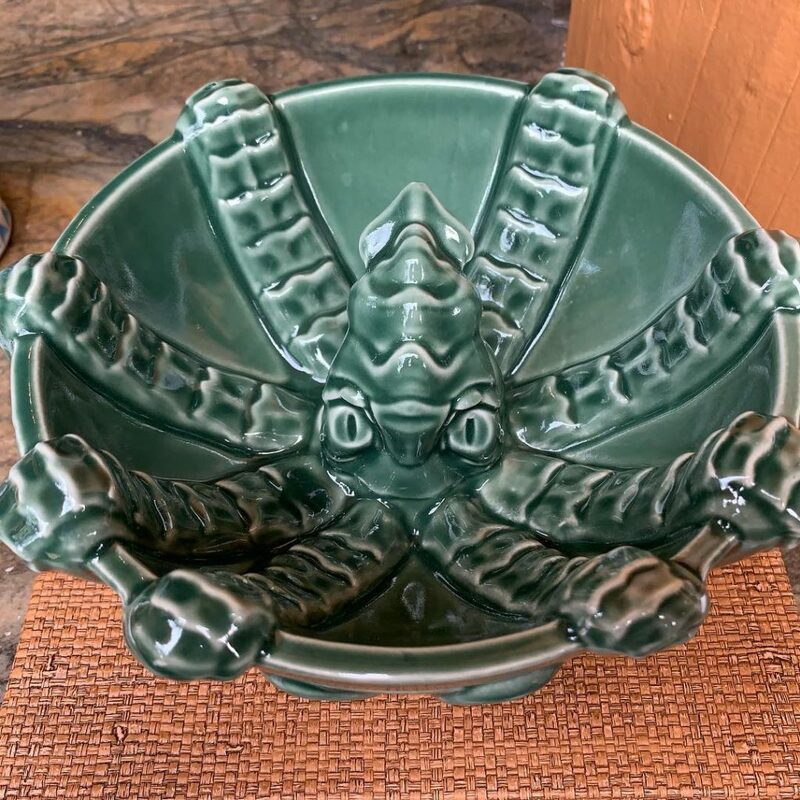 The drink is served in a Kraken souvenir mug that works more like a bowl. The drink itself contains Light and Dark Rums, Gin, Brandy, Passion Fruit, Falernum, and Juices of Lime, Orange and Pineapple served in a souvenir Tiki Bowl. Next up is the Tangaroa Cooler. The drink contains Gin, Orgeat, Falernum, Bitters, and Juices of Grapefruit and Lemon served in a Souvenir Tiki Mug.